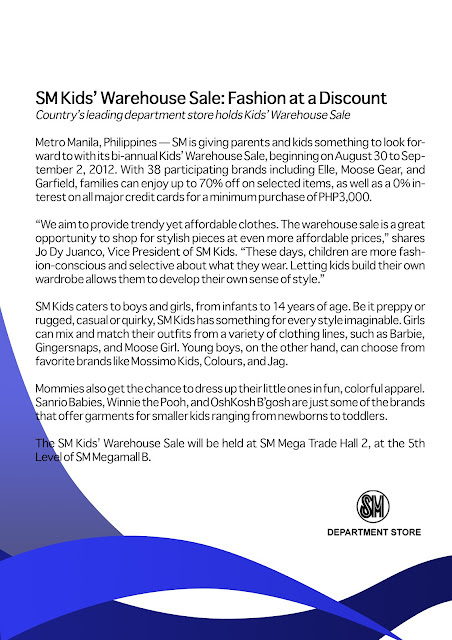 SM Kids caters to boys and girls, from infant to 14 years of age. Be it preppy or rugged, casual or quirky, SM Kids has something for every style imaginable. Girls can mix and match their outfits from a variety of clothing lines, such as Barbie, Gingersnaps, and Moose Girl. Young boys, on the other hand, can choose from favorite brands like Mossimo Kids, Colours, and Jag. Mommies also get the chance to dress up their little ones in fun, colorful apparel. Sanrio Babies, Winnie the Pooh, and OshKosh B’gosh are just some of the brands that offer garments for smaller kids ranging from newborns to toddlers. 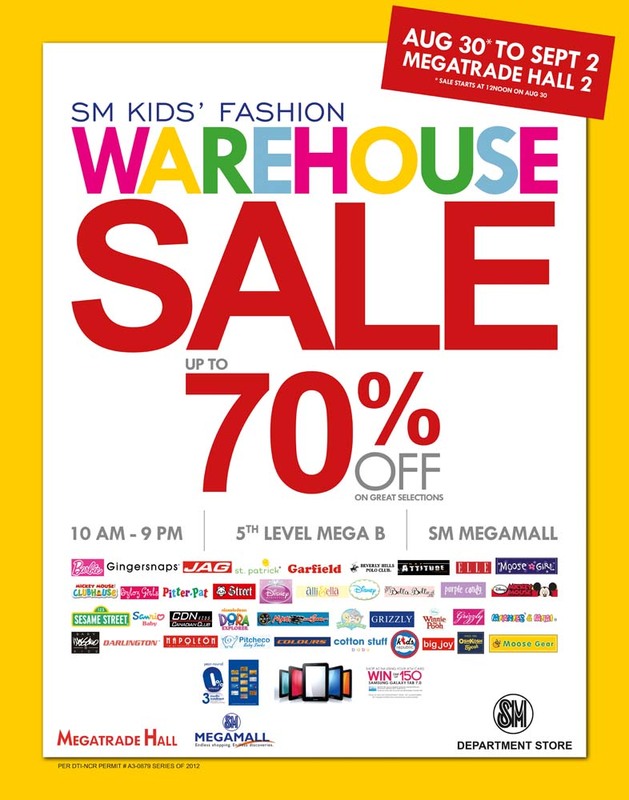 The SM Kids’ Warehouse Sale will be held at SM Mega Trade Hall 2, at the 5th Level of SM Megamall B.